Your signage design and installation experts in LA County! The Sign Studio specializes in signs of all kinds and is the one-stop shopping place for sign installation in LA County and surrounding areas. Whether you're just starting up and need to get your name out there or your company is already wildly successful, chances are, you need signs. Make the most of your marketing budget and let The Sign Studio handle your sign and banner installation needs. We've been serving Glendale, Burbank, Pasadena and the greater Los Angeles area for many years and have created signs and banners for some of the most successful businesses around. Now we're ready to put our experience and expertise to work for you. Drive new customers to your door with our eye-catching vehicle signs, or increase your visibility with window graphics, illuminated signs or updated dimensional lettering. Our business can help you do big business by increasing your visibility, updating your logo or flying your flag with banners and directional signs. Let our skilled graphic artists and craftsman turn your great ideas into reality with our wide variety of techniques and materials. We'll take care of everything, from the design table to sign installation. Because all we do is signs, we do it well, and with The Sign Studio as your signage design and installation experts in LA County, you can get back to running your business while we go about the business of getting your name and your message up there, out there and pretty much anywhere you need it to be! Floor Graphics sell for you! Look down. What do you see? The first thing you see is the floor. People look at what's underfoot as soon as they approach your threshold. Floor graphics...sell for you! If you aren't using your floor, you're wasting a selling tool. Think about the potential for your floor. How much space is available? How much space can you clear to accommodate your floor graphics? Have you thought about the floor in your restrooms? If your restrooms are ADA compliant, you have a clear space about six feet in diameter, the size required to turn a wheelchair. Let us design floor graphics for your restrooms. Floor graphics should be clear, easy to read from a distance of 6 feet, and be understood quickly. If you don't want to present specific products on your floor, how about your company logo? Even a location like a doctor's office or a lawyer's office would be enhanced by using floor graphics. Why do you have a company logo? Because you are looking for instant recognition. You want people to say "I've seen that before" about your logo. Use it often and in unique places. Incorporating your logo in floor graphics, you will be surprised at how well they sell for you. Evacuation Signs - A must! If you require new evacuation signs, inspection signs, or other signs for your business, look no further than The Sign Studio! We can help you conform to all the relevant regulations with some practical, durable, no-nonsense tools. Get your quote today! From the commonplace exit sign to the more detailed/mapped-out route, evacuation signs are integral to the well-being of any place of work; and notices of inspections need to be precisely and strategically located. It is absolutely critical that you maintain the very best of these signs--and make sure they are crystal-clear, informative, safety-conscious!--so you can be ready for any emergency situation. 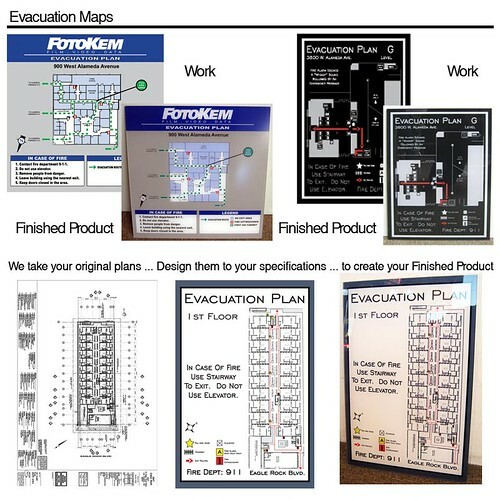 Let the professionals at The Sign Studio help you get the very best evacuation signs, inspection signs. You can rely on the experts at The Sign Studio to oversee any signage project from beginning to end. Their hard work and attention to detail will get the job done in a wonderful, quick, cost-effective way. Evacuation signs are a vital part of any decent, well-run building. OSHA (The Occupational Safety and Health Administration) explicitly requires that you work out a complete plan for emergency evacuations and that you have prominent notices of current safety inspections. 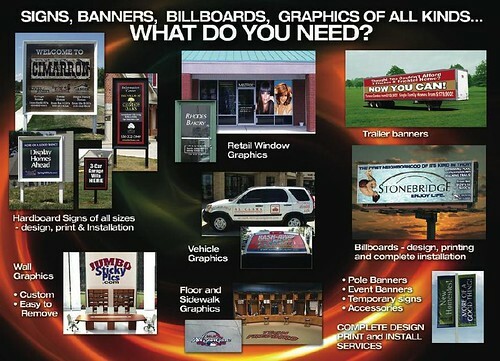 The Sign Studio can help you get up to speed with these requirements. 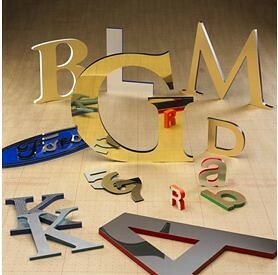 Just use the easy form at our website, TheSignStudioOnline.com, to request a quote from us on your project. And very soon, you will have all the evacuation signs and inspection signs that you need! Looking for a Company Logo Design? Logos can be considered the first step of branding, and it is essential for a business to create a memorable and positive impression through the visual representation of your brand. The logo design process is often time consuming and cluttered with obstacles. 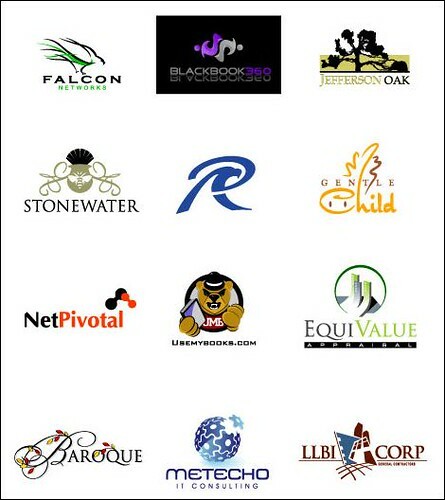 Selecting your company's logo is an immensely important process. Your logo should be an attempt to market your business to potential customers and business partners in a clear and powerful way. You can now streamline your logo design efforts by partnering with The Sign Studio and our experts. The Sign Studio is a veritable one stop shop for companies in need of logo and signage help. The Sign Studio is a sign company in Los Angeles County that develops signs for display in your business, as well as signs to use for marketing. We can help design a logo, as well as strategize the best ways to utilize your company's logo in terms of marketing efforts. For many businesses, eye catching signage is an untapped way to draw in foot traffic or add a strong visual component to a marketing campaign. The Sign Studio is the leading sign company in Los Angeles County because we offer our customers a fully customized experience. We cater to your business' needs and our staff has the experience necessary to offer useful advice. The Sign Studio is a great resource for emerging businesses as well as those looking to revitalize their image. Custom Signs - We do it all! The Sign Studio is located in Burbank, and services Los Angeles area locations that include Glendale, Studio City, West Hollywood, Century City, Los Angeles, and more! Businesses depend on us for custom signs and we are here to help you find solutions. Working as a team, we assist our clients by providing an assessment that will identify your needs and developing cost-effective design solutions that produce results for you. Remember: "A Business with No Sign is a Sign of No Business". At The Sign Studio, we do it all and we’re committed to filling your need for custom signs! You know that hopeless, frustrated feeling when you're driving down the road looking for a business, and you simply can't find it? A GPS will say what side of the street you're on, but if you don't have a quality sign in front of your business, you won't be noticed by potential customers. So come to http://www.thesignstudioonline.com/! Where we offer quality! No one wants to walk into any office or storefront with a cheap business sign out front. Your sign is your customer's first glance at YOUR quality. If you have a cheap sign hanging outside your front door, your customers are going to expect cheap work, or cheap product. It is as simple as that! No matter what kind of business sign you need. Whether an exterior sign, or interior sign, we are a full service sign company and offer any kind of business sign that you need. We do Vehicle graphics, Banners, window graphics, site signs, monument Signs, architectural and directional signs, sandblasted signs, 3D lettering, illuminated signs, and professional graphic design.Our team of talented designers and fabricators are facilitated by state-of-the-art, computer-aided systems and sign making techniques. You will receive professional, eye-catching signs that will attract customers, and show them the impressive quality of your business before they even walk in the front door! And don't forget... A Business With No Sign, is a Sign of No Business!If you have any questions or need assistance with anything, please give us a call at The Sign Studio (818) 843-9200 or send us an e-mail at info@signstudiola.com. One of the best ways to drive sales dollars at any business is to market in a manner that is consistent with the standard of quality and expectations of the company. 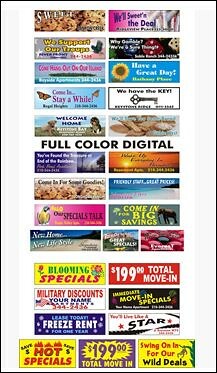 The Sign Studio uses high quality techniques and services that will take your business to the next level. With innovative, thought-provoking and eye-catching graphics, your business will be given a dynamic, visual platform that will drive sales.The Sign Studio provides a myriad of signage that can be customized to meet the needs of any business. State of the art techniques are implemented to provide the highest quality orders. Custom creations are readily accessible as well in the form of graphic design. From banners to site signs to window graphics to vehicle graphics and monument signs, one or all of these types of signage can be created and utilized to advertise your business. As you get ready to install signs for your business, make sure you secure appropriate sign permits. Forgetting this important step could mean you have to remove your signs and also face fines or fees. 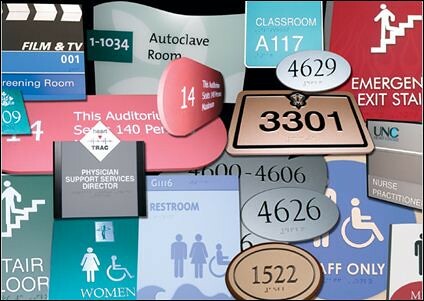 This wastes your company's valuable resources and costs you time to fix.All cities and municipalities have different sign permit requirements for a multitude of signs including building signs, parking lots, ADA signs and signs for monuments. The Sign Studio has years of experience in the sign business creating signs that meet requirements and restrictions. 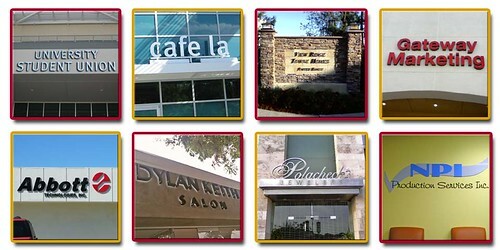 Our team can work with your company design and modify it as need to meet any sign permit requirements. Knowing ahead of time what obstacles you might face in installing your signs will help you and The Sign Studio create an appropriate sign to suit your needs and local requirements.Sign permits may feel like a hassle or obstacle to overcome but taking care of permits before installing signs saves time down the road. Skipping this vital step will most likely end in the removal of your sign and a penalty. Without appropriate signage for your business, customers won't be able to locate you as well hurting your business. Install signs right the first time by securing sign permits. Your business will thank you! Los Angeles Sign Co. | Banners & Signs Are Your Way To Advertise! LA Sign Company | Exhibit Your Logo in Your Lobby With A Sign! Lobby Signs - Display Your Logo and show it off! The lobby of your office building is an extremely important place, and you not only want it to give off a vibe of comfort and professionalism, but you also want it to help promote your business, whatever it may be. The fact is, signs are a crucial part of virtually all types of advertising, and well made ones can go a long way towards attracting people to your business. That's why it's so important that you choose the right people to design your lobby signs. Creativity, aesthetics, and professionalism are all very important aspects of an effective sign. You know as well as I do that a plain old, boring looking black and white sign isn't going to do squat in terms of drawing interest to a business or product. If you're going to put up a lackluster sign to advertise your business, you might as well just fill that lobby space with a couch instead. When getting your sign designed, you really need to get it done by people who truly know what they're doing. Lobby signs and logo signs are a couple of the many specialties offered by The Sign Studio, where they offer a wide variety of signs that they design themselves. Just remember, if you don't care enough about your sign to get it done by professionals, your potential customers aren't going to care about it either.